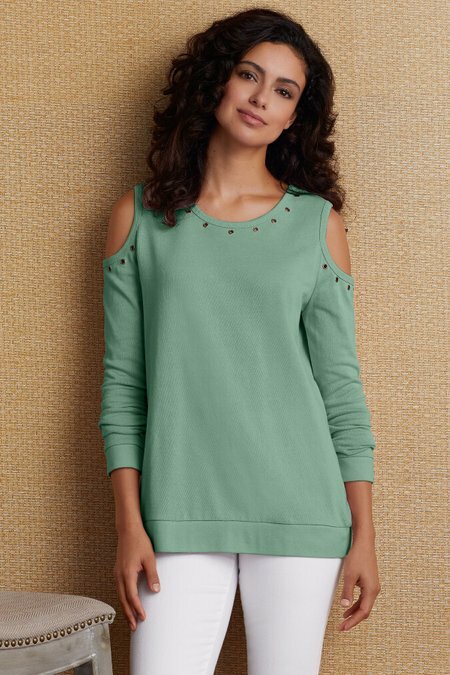 Grommets accent this French terry pullover while ribbing at the hem and cuffs plays to the sweatshirt trend. Cotton. Misses 26" long.